The QSonic 1000 is QOMO’s latest product line. This infrared wireless microphone and sound system is composed of one lavalier microphone and two infrared speakers. Its lightweight and simple design makes it easy to transport without compromising on power, sound quality, or durability. Around 75% of all learning is auditory, making loud and clear speech a crucial element of a good presentation. 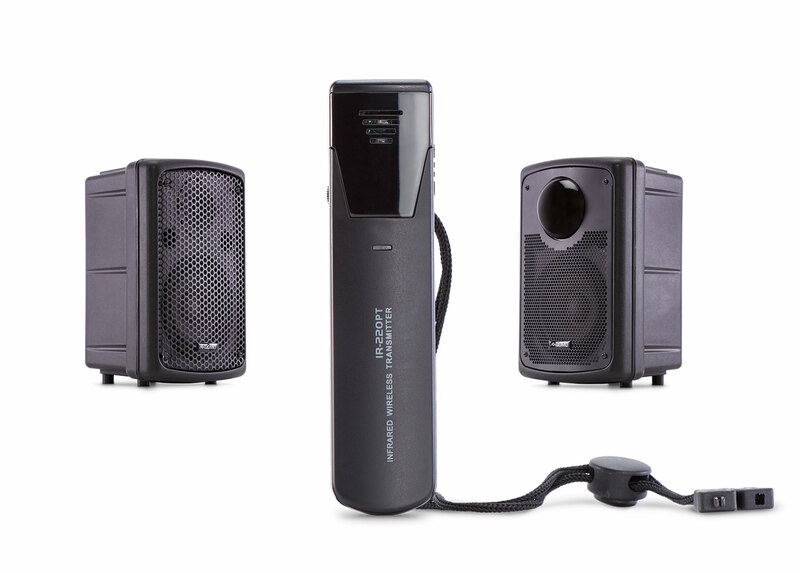 The QSonic 1000’s 30 watt amplifier and two full-range speakers are powerful enough to reach every audience member in a room, no matter where they’re seated. freeing your hands for more important work. 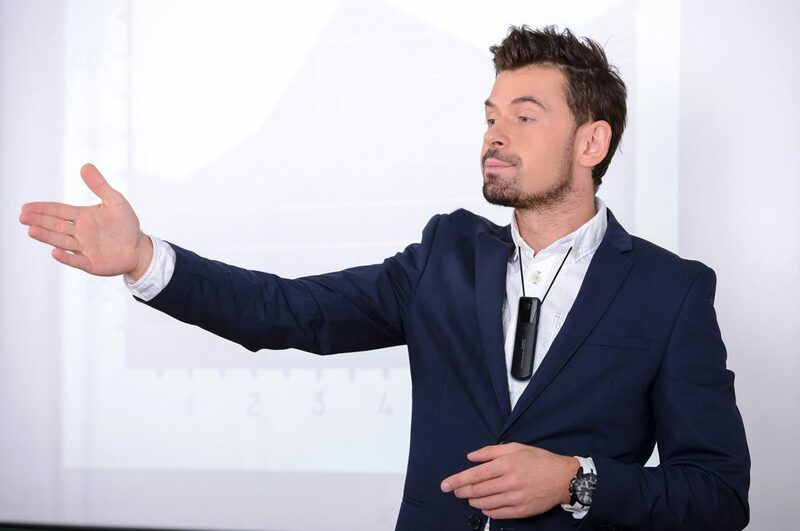 The hands-free and wireless lavalier microphone allows you to talk with your natural voice and your hands. Pass around papers, annotate on your interactive display panel, and even simultaneously interpret in sign language without interference. add a handheld mic, too. 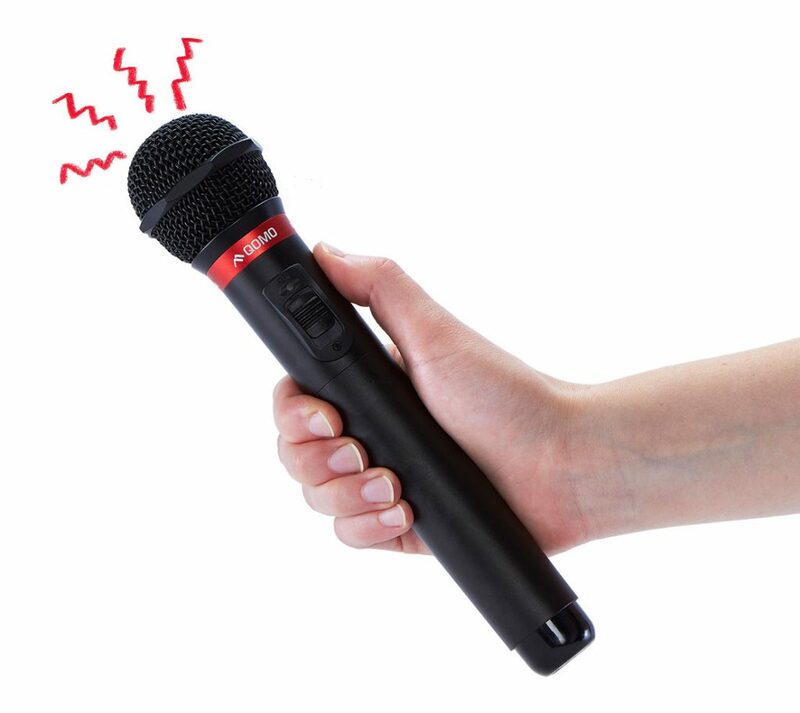 Include an additional handheld microphone to encourage audience participation. The microphone is uni-directional so the speaker can be clearly heard without outside sound interference.